The latest evolution of our famous A-7, this cross cut sail is now manufactured from a slightly firmer fabric, Contenders 6.33 RSQ, which adds both stability and longevity. Its easy to trim characteristics make it a fast sail in all conditions. The A-7+ is used by a variety of Dragon sailors, from club level to world champions. The MG-15 is the medium wind sail of our new genoa range and is manufactured from Contender RSQ 5.55. The radial construction spreads corner loads, making for a smoother sail whilst offering greater longevity. The HG-15 is the heavy wind sail of our new genoa range manufactured from Contender RSQ 6.55. The radial construction spreads corner loads, making for a smoother sail whilst offering greater longevity. 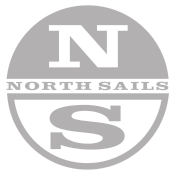 Winner of the Worlds servel times, this all-purpose genoa was originally developed in 1991 and have been updatat with very small chances over the years, and is still a very popular choice for a single headsail program. The rocked panels distribute load more evenly across the head, clew, and tack. Built from Dacron 5.46 Polykote. Our medium-heavy headsail has the same designed flying shape as the MJ-8. It is built from Dacron 6.5 Polykote, so it keeps its round entry and very straight aft section up the wind range. The V-6M Genoa is a medium wind sail manufactured from Contender RSQ 5.55. This sail is designed to compliment the new Petticrow V6 Dragon, where the tack point is lower than the older boats. This sail has the same flying shape as the MG-15 Genoa. The radial construction spreads corner loads, making for a smoother sail whilst offering greater longevity. This design has the same shape as the R-5 but it doesn't have a retrieval patch, so it's ideal for crews launching out of spinnaker bags. We've also added stiffer and slightly larger corner patches to help support the corner loads more efficiently. Built from Superkote 70, the lightest material allowed by class rules. The CD-5 was used to win several Worlds over the years. Radial clew sections help the sail maintain its shape through the wind range with less distortion, while retaining a powerful top section. Manufactured from a combination of Dynakote 75 and Superkote 75. This CD-5NP is the same design as the CD-5 but doesn't have retrieval patch, so it's perfect for crews launching out of spinnaker bags instead of chutes. We were also able to add stiffer & slightly larger corner patches, which help support corner loads. Manufactured from a combination of Dynakote 75 and Superkote 75.